ARRRRR!!!! The pirates of AYC! 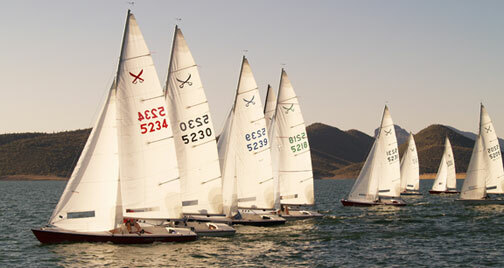 The Buccaneer 18 fleet is the only one-design fleet that gives you a three-sail boat (main, jib and spinnaker) and the option to sail with fleets at both Tempe Town Lake and Lake Pleasant. It’s a fast little three-sail centerboard sloop with symmetrical spinnaker (yes, “Jibe the pole!”) and roller furling jib (how civilized!). Typically raced by only two persons, so get ready to stay busy! Buccs are more comfortable “sit-in” boats with wider gunnels for more comfortable hiking. Yes, you may have to hike out on a Bucc in wind above 8-10kts. Buccaneer 18s are available in Arizona and West Region for $1000 and up including trailer. Local Bucc sailors often trailer their boats to San Diego or even across the country for One-Design events and Class Championships. To learn more about joining the Buccaneer Fleet, getting your own Buccaneer 18 or crewing on one, contact Emory Heisler. And see the National Bucc Site (Buccaneer18.org) or the Bucc18 Yahoo! group. The AYC Buccaneer fleet is ready to offer lots of help for anyone who would like to join the raiding party.